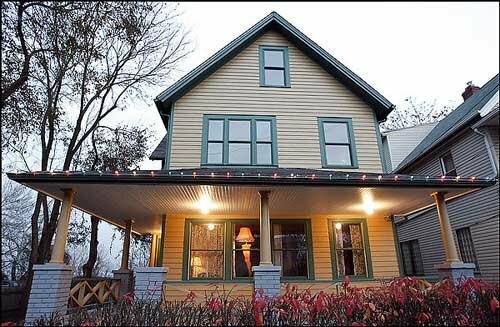 Did you know the House from A Christmas Story is in Cleveland? If the A Christmas Story is one of your favorites, you may be intrigued to know that the actual house is right in our back yard in Tremont, Ohio. Yes that’s right, A Christmas Story with the Red Ryder BB gun and “you’ll shoot your eye out,” was actually filmed here in Cleveland at a house located at 3159 West 11th Street. It is open now for tours, admission at the door 10am-5pm Thursday through Saturday and 12pm-5pm on Sunday. This is not to be missed call 216-298-4919 for details. Next Post Warehouse District Holiday Tour…In the Snow!